The people of Missouri have spoken — what happens next here after a historic election? 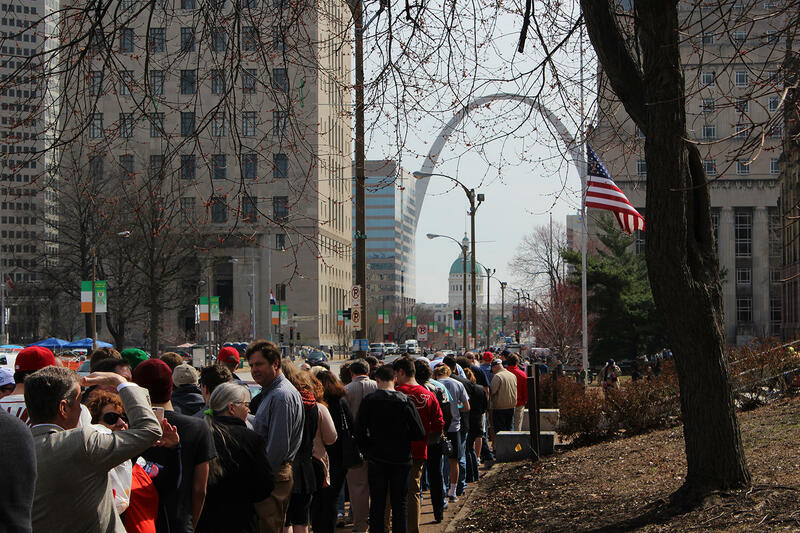 The line of supporters of then Republican presidential candidate, now President-elect, Donald Trump wrapped around a full city block in downtown St. Louis earlier this year. What comes next? That’s the question after Donald Trump overcame Hillary Clinton in the election to become the 45th president of the United States of America. In Missouri, Trump won with 57.1% of the votes. But that wasn’t the only history that was made last night. “I can say without any hyperbole that yesterday was the most triumphant day in the modern history of the Missouri Republican party and the worst day ever for the Missouri Democratic party, not just in modern history,” Rosenbaum said. “Missouri has traditionally been either a swing state or a Democratic state on a local level. In the 1800s, there weren’t even viable Republican challengers for U.S. Senate and governor. Terry Jones, Jo Mannies and Jason Rosenbaum spoke in front of a live audience on Nov. 9, 2016. Republicans swept most statewide offices and will have solid control of Missouri state government in the coming years. 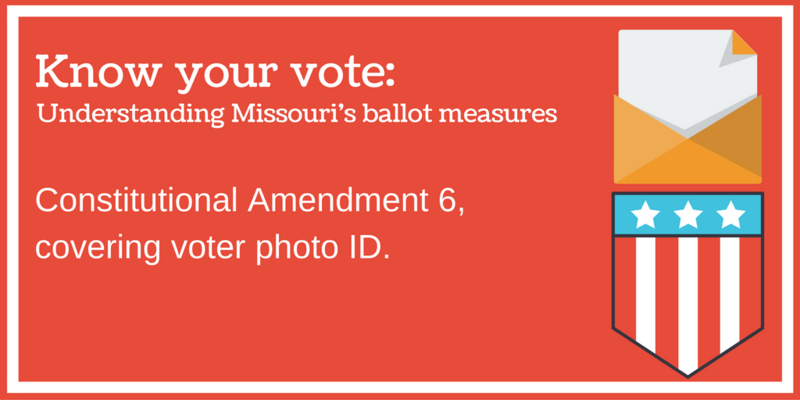 Voter photo identification, a bar on new sales taxes on services and limits on campaign contributions for state-based races are all part of the Missouri constitution now. Meanwhile, no new taxes were levied on cigarettes and the sales tax for state parks and conservation will continue for 10 years. On Wednesday’s St. Louis on the Air, we parsed through the election results in front of a live audience in the Community Room at UMSL at Grand Center, with Rosenbaum, St. Louis Public Radio reporter Jo Mannies and UMSL political science professor Terry Jones. Below, find some of the most important takeaways from their discussion. Missouri and the nation experienced a historic election on Nov. 8. 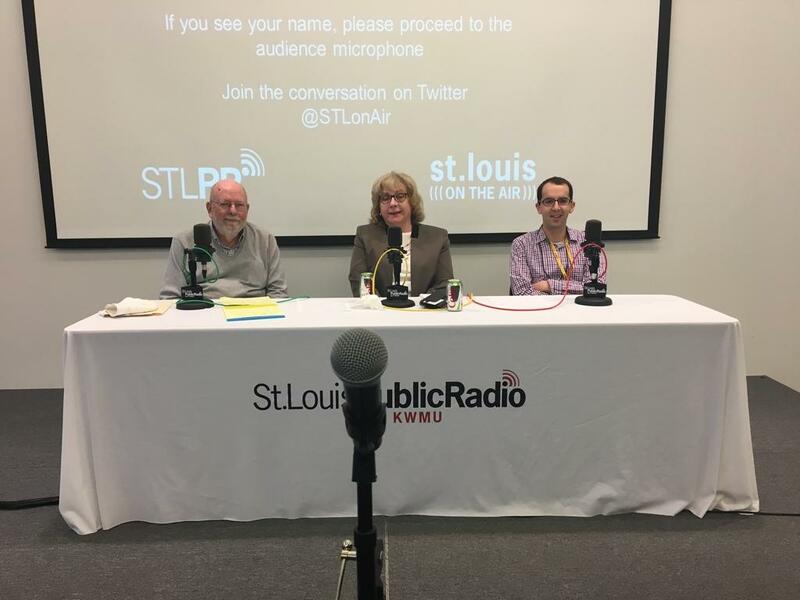 On Nov. 9, St. Louis on the Air gathered St. Louis Public Radio reporters Jo Mannies and Jason Rosenbaum as well as UMSL political science professor Terry Jones to discuss the results of the election. Why did the election turn the direction it did when polling did not predict it? Pre-election polls were stunningly off in the prediction that Clinton would win over Trump in the general election. What happened? Jones referenced “shy-Trump” voters as the reason polls may have been so off, stating that if people who were polled as undecided or for a third party candidate may have been uncomfortable saying their vote was for Trump on the phone. That could have accounted for the 2-4 percent of the electorate that changed the vote. In Missouri, there are some especially glaring issues with live polls. Rosenbaum pointed to examples where polls were done with a sample size of 400 people, which is too small of a sample in his opinion. In reality, in Missouri, Trump helped Republicans in Missouri turn out a large number in exurban and suburban areas of the state. In Kansas City, the city of St. Louis and Kansas City (traditionally democratic areas), turnout was down by 50,000 votes. As Mannies pointed out, though, margins of victory for Republicans were so huge this turnout would have mattered little. 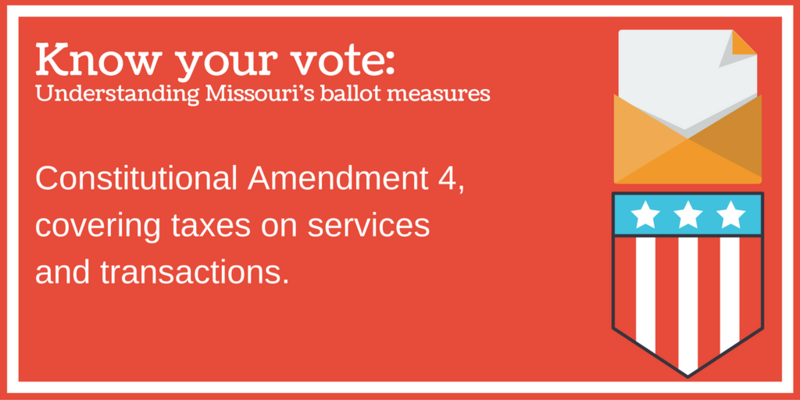 What will we see change in Missouri relatively soon? How will this change Missouri politics? On one hand, as Jones said, “with one party control, comes one party accountability.” With Republicans controlling the state, they will be held accountable for anything that goes wrong in the state. That means they will have to account for any missteps when time for reelection comes in 2020. That doesn’t spell an easy road for Democrats, however. Democrats don’t have much of a bench elsewhere in state office to aid Galloway in that fight. Jones said that Democrats could take heart in the fact that every party has people who look in the mirror and see themselves as the next Missouri governor. “Eric Greitens certainly did that four years ago and we did not mention him until this year,” Jones said. Claire McCaskill, the Democratic U.S. Senator from Missouri, is now “in the bullseye,” Mannies said. She will face a big Republican challenge in 2018 and her look at a possible future senate chairmanship is out of her grasp now that Republicans control the Senate. The future is unclear for Missouri’s Democratic candidate for governor, Chris Koster. If Trump proves to be unpopular, Koster would also still be able to jump back into the political fray. Examples in Missouri politics like Mel Carnahan and Kit Bond jump to mind of politicians who were defeated once and later sought another route to power. No matter what, Republicans proved themselves a formidable power in Missouri. Did FBI Director James Comey’s announcement have an impact on Missouri votes? On Oct. 28, Comey sent a letter to Congress announcing he was investigating another batch of Clinton emails found on Anthony Weiner’s computer. While it is hard to say how much that impacted the result on election night, many Democrats are blaming Comey for Clinton’s loss. Did it impact any races in Missouri? Ultimately, Senate races across the nation, including Kander/Blunt in Missouri, were impacted, said Mannies. In races below that, however? Not so much. On a statewide level, such as with Greitens and Koster, the impact would have been little. What will U.S. Senator Roy Blunt do now? While Trump won over Clinton by 20 percentage points, Blunt won over Democrat Jason Kander by only three percentage points. The huge turnout for Trump likely spelled the difference in this Missouri Senate race. Mannies anticipates that Blunt may try to become a part of the Senate leadership and he may even be chosen to work with Vice President-elect Mike Pence, who will likely be put in charge of domestic issues. It will be interesting to see how Blunt and McCaskill, who have had a positive working relationship in the past, will continue now that McCaskill will be running for reelection in 2018. She was active in her support of Kander and Blunt may now actively try to find an opponent to run against her. Is there a future for a cigarette tax in Missouri? Both Amendment 3 and Proposition A, Missouri’s two cigarette tax increase proposals, failed on election day, exhibiting the uphill climb such measures have in a state that is made up of 25% smokers and 15% people who opposed any kind of tax hike, no matter what.